Heated Seats, 3rd Row Seat, Onboard Communications System, Back-Up Camera, Dual Zone A/C, Remote Engine Start, TRANSMISSION, 9-SPEED AUTOMATIC, TRAILERING PACKAGE, Tow Hitch, Power Liftgate. Essence trim, QUICKSILVER METALLIC exterior and DARK GALVANIZED W/EBONY ACCENTS interior. FUEL EFFICIENT 26 MPG Hwy/18 MPG City! AND MORE! Buick Essence with QUICKSILVER METALLIC exterior and DARK GALVANIZED W/EBONY ACCENTS interior features a V6 Cylinder Engine with 310 HP at 6800 RPM*. TRAILERING PACKAGE 5000 lbs. includes (V08) heavy-duty engine cooling system and trailer hitch, AUDIO SYSTEM, BUICK INFOTAINMENT SYSTEM, AM/FM STEREO, SIRIUSXM, WITH 8" DIAGONAL COLOR TOUCH SCREEN includes 2 USB ports inside center console, Bluetooth streaming for audio and select phones and Phone Integration for Apple CarPlay and Android Auto capability for compatible phone (STD), TRANSMISSION, 9-SPEED AUTOMATIC (STD), ENGINE, 3.6L V6, SIDI, VVT STOP/START (310 hp [231 kW] @ 6800 rpm, 266 lb-ft of torque [359 N-m] @ 2800 rpm) (STD). Quad Bucket Seats, Power Liftgate, Rear Air, Heated Driver Seat, Back-Up Camera, Onboard Communications System, Aluminum Wheels, Remote Engine Start, Dual Zone A/C, Heated Seats Rear Spoiler, Third Row Seat, Privacy Glass, Remote Trunk Release, Keyless Entry. Hello, I would like more information about the 2018 Buick Enclave, stock# BK2099. 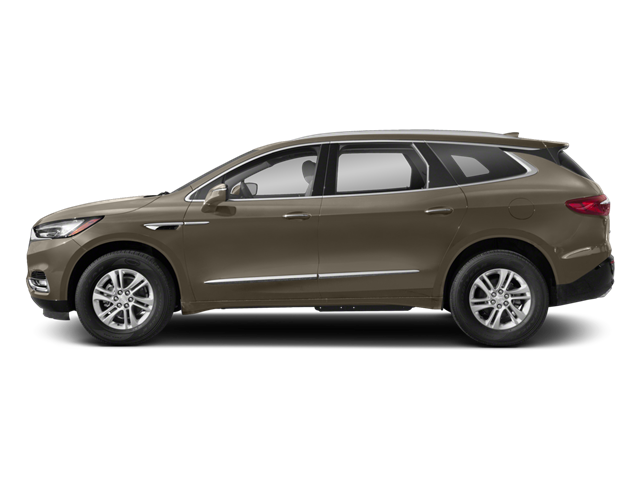 Hello, I would like to see more pictures of the 2018 Buick Enclave, stock# BK2099.